Next-generation sequencing (NGS) not only continues to make steady advances in the molecular diagnosis of cancers, it also seems to fit perfectly with our current knowledge of the oncogenome. 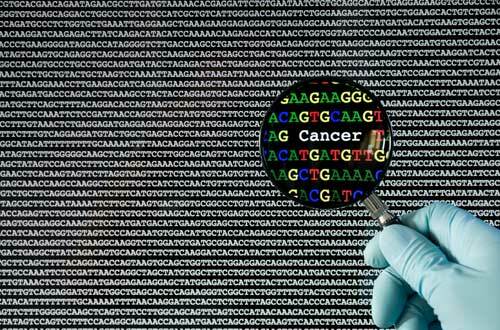 In particular, by making it possible to screen the entire coding sequence of cancer-related genes, NGS overcomes a key problem—cancer predisposition cannot be monitored by just a few hotspot mutations. The sensitivity, speed, and potentially decreased cost per sample make NGS a highly attractive technology. In fact, NGS may soon consolidate many other platforms. While some NGS applications, such as whole-genome sequencing, will probably have to wait several years before they spread and enter routine clinical use, other NGS applications are ready now. One NGS application that shows immediate promise for clinical oncology testing is exome sequencing. “We hope that in the near future, sequencing of the cancer exome will soon provide oncologists with information they need to identify and utilize treatment options based on the patient’s genomic profile,” says Helen Fernandes, Ph.D., associate professor of pathology and laboratory medicine, Weill Cornell Medical College. Dr. Fernandes, however, adds that NGS will become established in the clinic only after certain challenges are addressed.